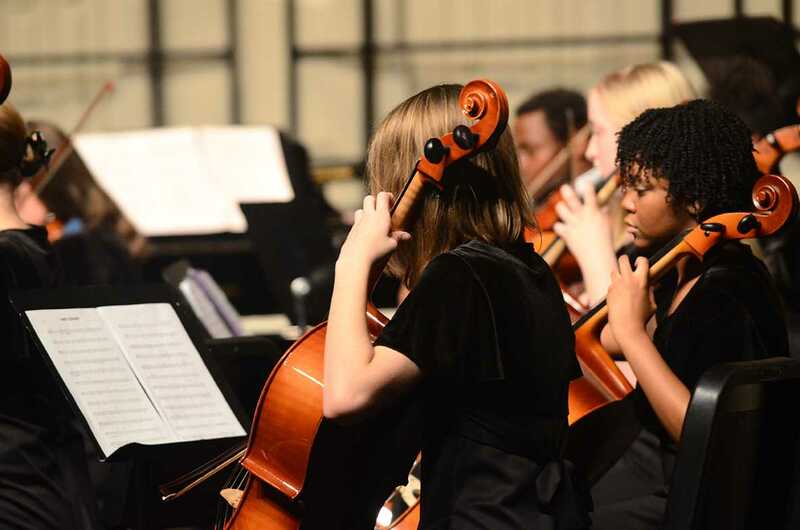 On Dec. 12, the RBHS chamber and concert orchestras will take center stage for the second time, but without the additional performances of the RBHS choirs. The orchestra concert will be held in the Performing Arts Center (PAC) at 7 p.m. and the doors will be open at 6:45 p.m. Admission is free and concert programs will be provided at the PAC door entrances. The hour-long concert will feature a broad range of music, RBHS Orchestra Director Alison Schmidt said. Along with Schmidt, sophomore principal cellist Samra Karabegovic looks forward towards performing a great concert for the friends and family who will be in attendance. Along with this, Karabegovic can’t wait to play “City of Steel”, a piece which the concert orchestra has put the most time and effort into. Karabegovic said the piece was originally meant for the first fall concert of the school year, but the concert orchestra wasn’t able to get it together in time. Principal second violinist junior Zain Ibdah also looks forward to performing in the concert, as it is a chance for both both orchestras to show off what they’ve been working on. Ibdah encourages people to come to the concert as it shows a lot of support for the orchestra program. He feels this encourages the musicians to continue practicing and refining themselves. Schmidt heavily agrees with Ibdah on the idea of attracting a decent sized audience to the concert as a reward for the concert and chamber orchestras. She says there was so much practice and effort going in to prepare for the concert, and she hopes an audience can show up to hear the product of the effort from all of the students.